EMGS proudly represents the full line of products manufactured by Powerex. 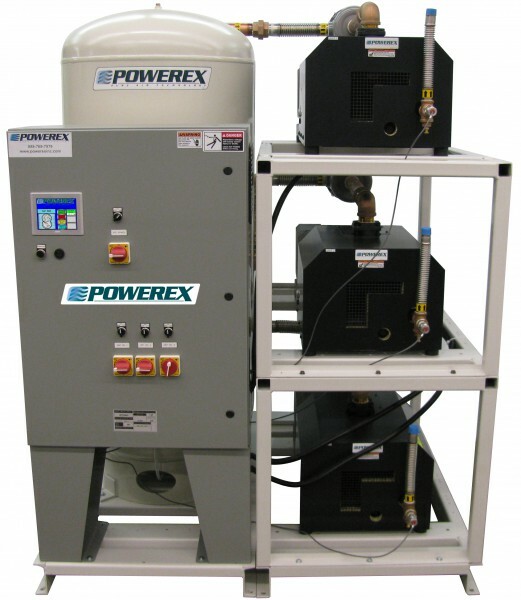 As the exclusive distributor for Powerex we can offer our customers the lowest possible pricing while maintaining the best quality, and customer service. Standard trim plate is off-white aluminum die cast. Also available in pewter aluminum die cast and off-white plastic. Two sizes of off-white plastic trim plates are available. Powerex LCD alarm panels are designed with state of the art technology for the utmost in safety and reliability. Individual 2.85” LCD touch screen display for each gas service. 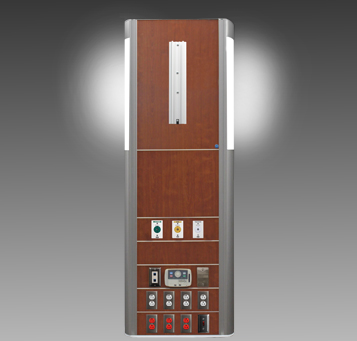 The LCD touch screen allows all alarm programming and set up to be done without the use of tools. 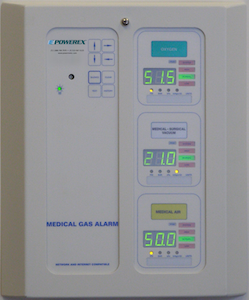 A green normal or red alarm condition for each gas service confirms the condition for each individual gas service. 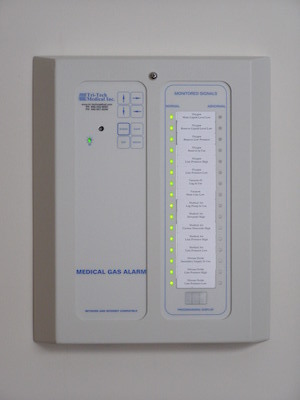 Emergency preparedness instructions – Med Touch Alarm Panels allow users to set up customized instructions for each alarm signal which appear when the signal is in alarm. 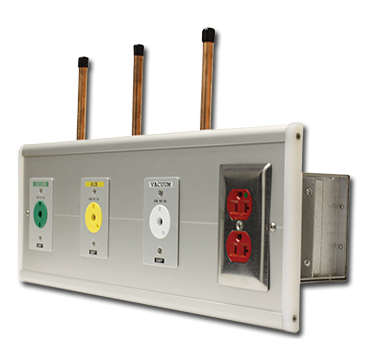 Up to 4 area/gas boards in a two slot box, 8 in a three slot and 16 in a five slot panel. 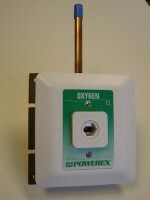 Powerex area alarms panels are designed with state of the art technology for the utmost in safety and reliability. 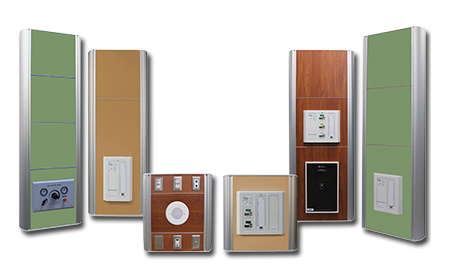 Powerex master alarm panels are designed with state of the art technology for the utmost in safety and reliability. 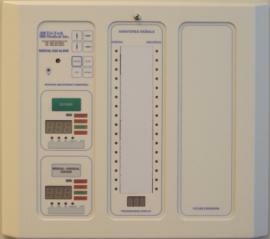 Powerex Master Alarm Panels are designed to provide years of trouble free and reliable operation. With up to 64 alarm points available to monitor critical equipment for your facility, Powerex Wireless Master Alarm networks drastically reduce installation costs by eliminating most of the low voltage wiring. The wireless network monitors and displays normal and alarm conditions from local source sending panels to two master alarm panels. 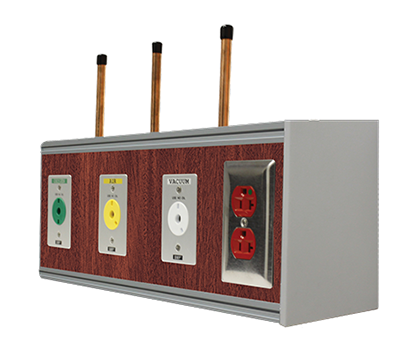 Repeater panels may be added to the network as needed to boost signal communication. Powerex combination area/master alarm panels are designed with state of the art technology for the utmost in safety and reliability. costs by minimizing room or zone down time. 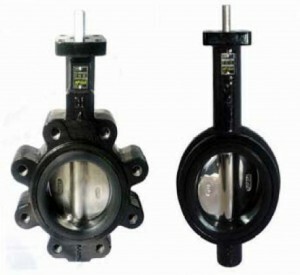 The Powerex 53-xxL (lug) and 53-xxW (wafer) Series Ductile Iron Butterfly Valves are ideal for use in Industrial and HVAC/Mechanical applications. Compatible with ANSI 125# & 150# Flanges. ISO 5211 Top Plate Allows Choice of Apollo® Pneumatic Actuators and manual operators. 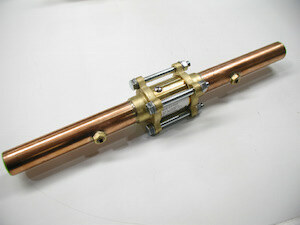 Optional square drive shaft for direct mounting actuators (2”-6”). Conforms to MSS SP-67 & API 609. 53-XXL (lug) Series Suitable for End of Line Service to Rated Pressure. 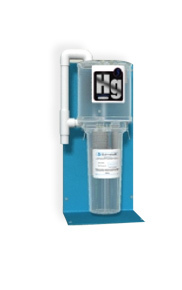 3” -6” meet performance requirements of AWWA C-504. 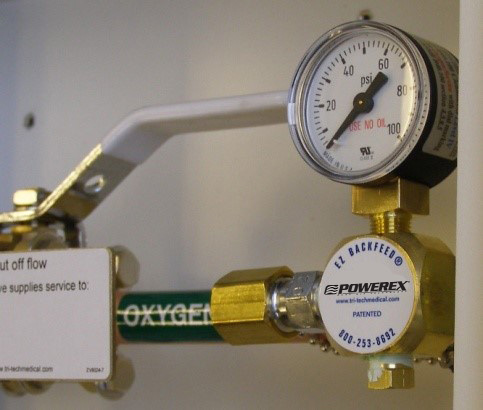 Pressure rating – 200 psig. Hinged double disc check valve. Removable center section (3 piece design) allows for easy field replacement (no cutting into pipe & recertification). Available in sizes ¾” to 4”. Straight through configuration minimizes changes in flow velocity. Spring assisted closing ensures valve closes quickly, before reversal of flow. Valves are forged brass (not cast). All valves are dual gauge port full port ball valves. 3 piece in-line repairable valves. Adjustable packing with blow-out proof stem design. Plastic insulators to protect against galvanic corrosion. Provided with 1 1⁄2” diameter gauges. 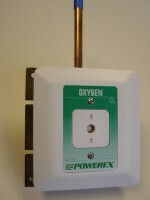 Outlets conform to CGA standards (except high flow Oxygen outlet). Conforms to NFPA 99 & CGA standards (where applicable). 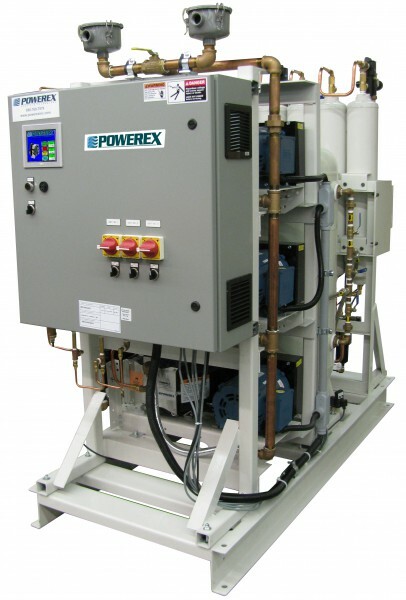 The NFPA 99 compliant digital, fully automatic manifold shall be a Powerex Genesys™ series. No manual resetting of valves or levers shall be required. The unit shall switch from “Bank in Use” to “Reserve” bank without fluctuation in line delivery pressure. 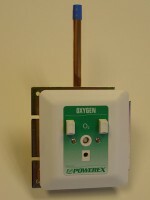 Line pressure sensor may be mounted inside the cabinet or remotely located to eliminate the need for a high/low pressure switch for master alarm operation. Electronic monitoring of circuits with up to 20 error, alarm or information messages. 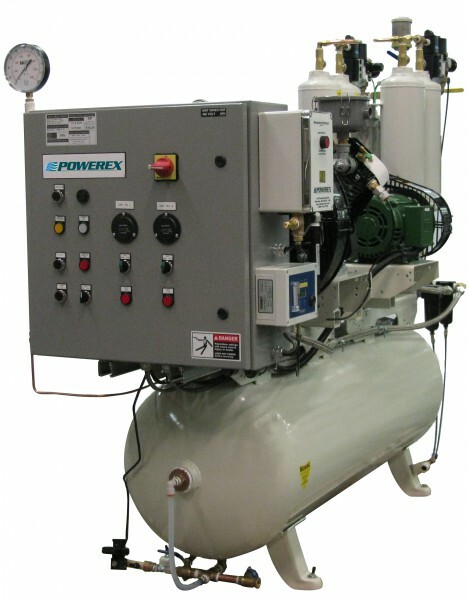 May be converted from high pressure cylinder use to use with low or medium pressure liquid portable bulk vessels. 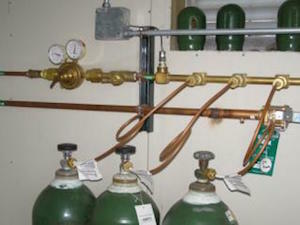 NFPA99 compliant models include 48-0023 ball valve. Input power 120 VAC, 50 to 60 Hz. The fully automatic manifold shall be a Powerex Genesys™ NPCU series. No manual resetting of valves or levers shall be required. The unit shall switch from “Bank in Use” to “Reserve” bank without fluctuation in line delivery pressure. Fully automatic – no resetting of valves or levers. 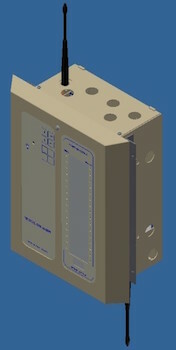 Input power 120 VAC, 50 to 60 Hz – single point connection. Easy to service piping design. Patented single solenoid pressure differential changeover. 400 psig differential rated solenoid. 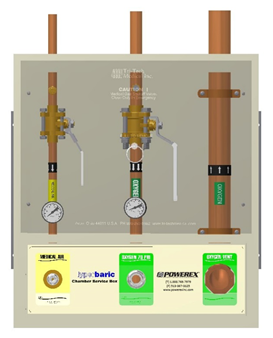 The NFPA 99 compliant digital, fully automatic manifold shall be a Powerex Genesys™ series. No manual resetting of valves or levers shall be required. 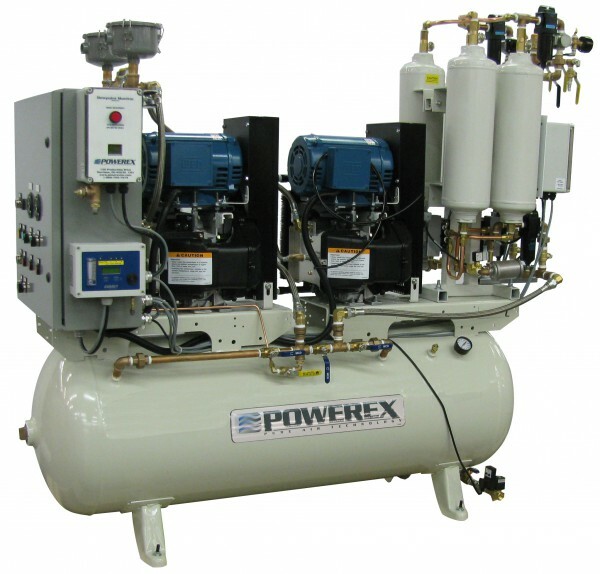 The unit shall provide gas from the left (vapor withdrawal from portable bulk or bulk vessel) until the pressure from the left inlet bank is depleted. The unit shall switch from primary (left) to secondary (right) bank without fluctuation in line delivery pressure. 400 psig differential rated solenoid – can’t lock up. 72” flexible pigtail (for portable bulk or bulk connection). 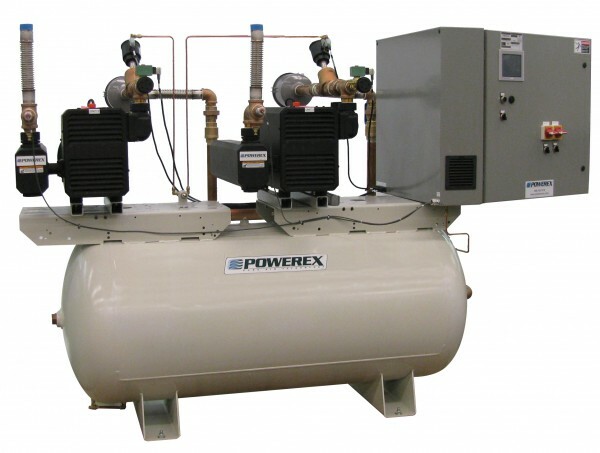 Economizer circuits for maximum efficiency of gas use. 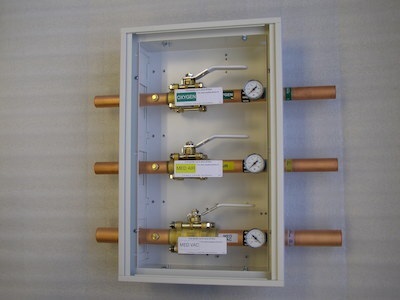 Unit of measure switching (psi, kPa, BAR). Model SR450 series regulator included. Manifold outlet is ½ M NPT. High quality brass master shut-off valve included. 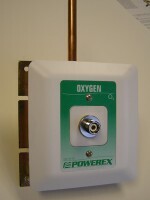 Oxygen models include rigid copper pigtails 36” single loop design. Flexible stainless steel Teflon lined pigtails provided with all other gas services. 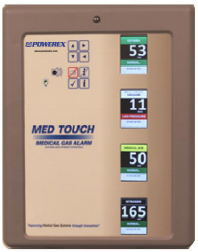 Our medical enclosed scroll systems leverage our proven oil-less scroll pump technology in a sound enclosure cabinet to minimizes noise and system footprint. 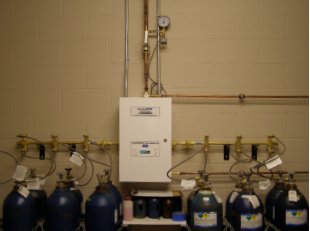 Systems meet NFPA 99 requirements. 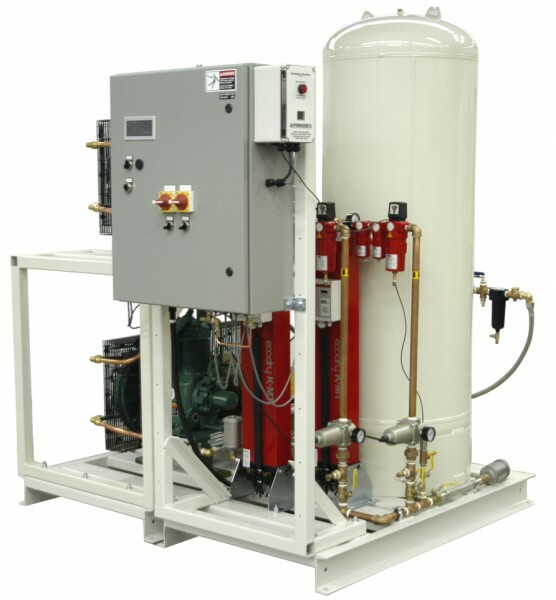 Our open scroll Medical Air systems meet all NFPA 99 requirements and can be customized as needed for your application. 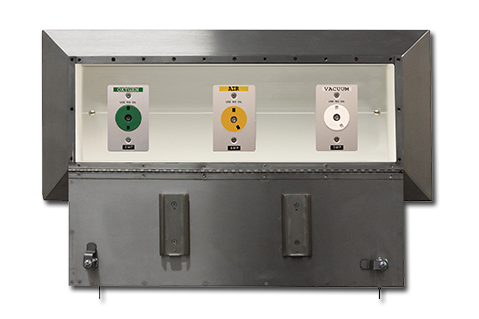 We offer three different control panel options for our Medical Air open scroll systems – Premium (touch screen) controls as our standard and optional Basic controls. 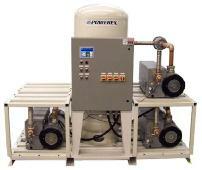 Tankmount and multiplex package system configurations available. Many of our Medical Air Open Scroll systems are now OSHPD (Seismic) Certified. Self-lubricating composite piston technology – standard on our oil-less reciprocating compressors, increases ring life and reduces operating temperature, providing reliability for years to come. 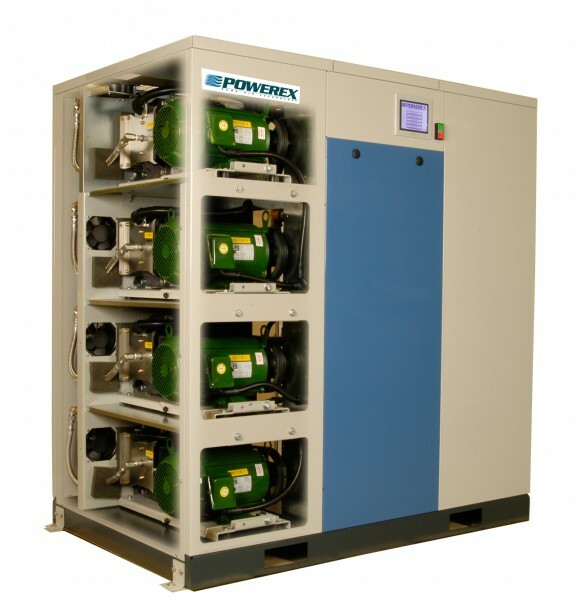 Our oil-less reciprocating piston compressors can be used on either skid mounted or tank mounted systems. 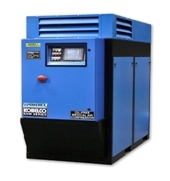 The Powerex Kobelco KNW medical series leverage an oil-free, risk free rotary screw design in a sound enclosure cabinet in order to minimize noise and system footprint. These medical packages are preferred by hospitals and laboratories worldwide. 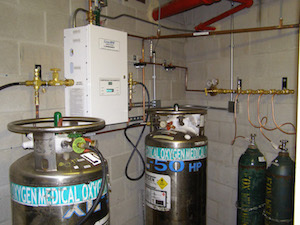 An Instrument Air system provides high pressure, clean, dry air for medical support services. 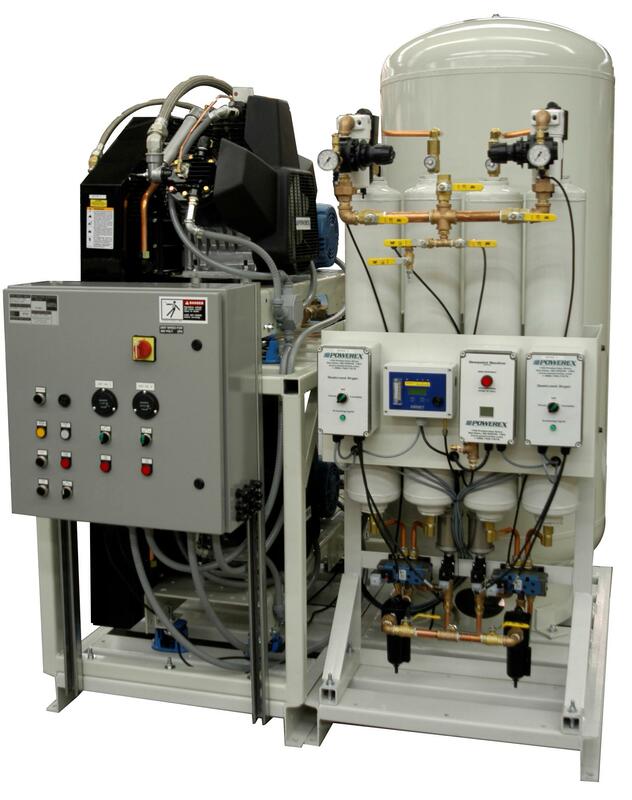 Our Instrument Air systems are NFPA 99 compliant and feature 250 psi lubricated compressors, a HMI touch screen control panel, dual desiccant dryers, an air receiver and a dew point monitor. 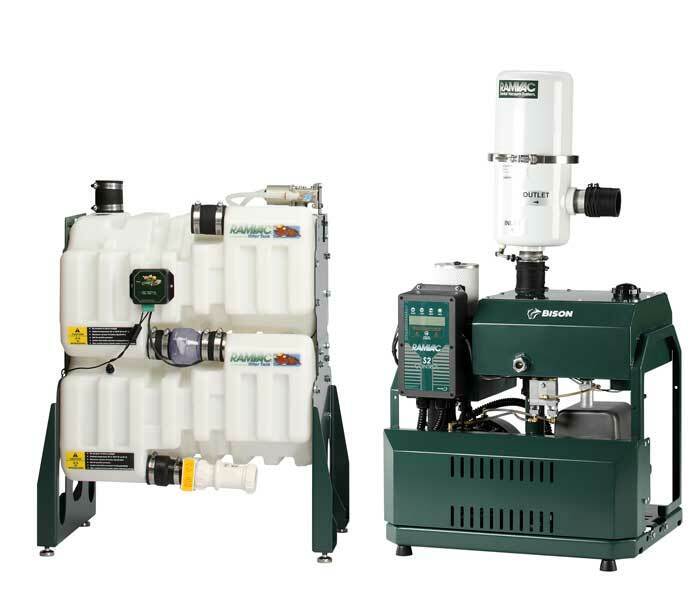 Our medical vacuum systems with our provendry claw pump technology can be customized specifically to meet your needs. 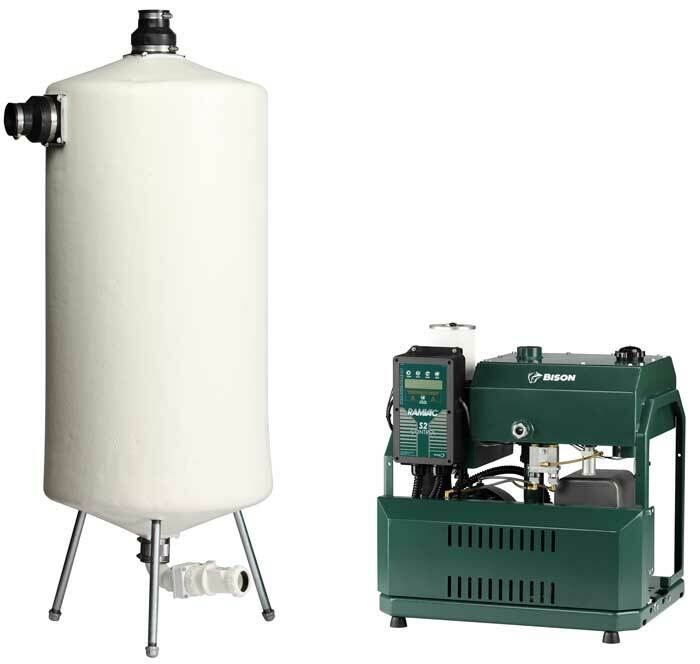 We offer two different control panel options for our Medical Vacuum Systems – Premium controls as our standard or optional Basic controls. 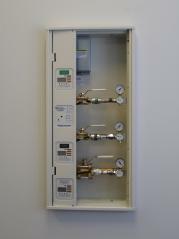 Variable Frequency Drive (VFD) controls are also an option. 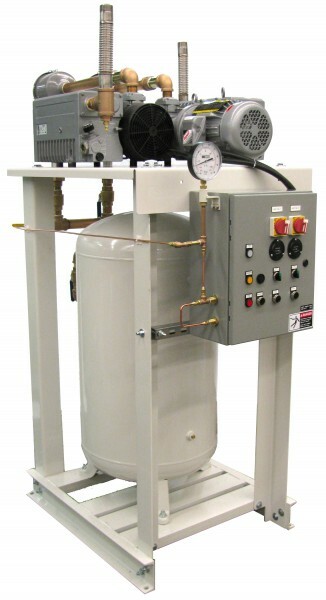 Many of our Medical Vacuum systems are now OSHPD (Seismic) Certified. 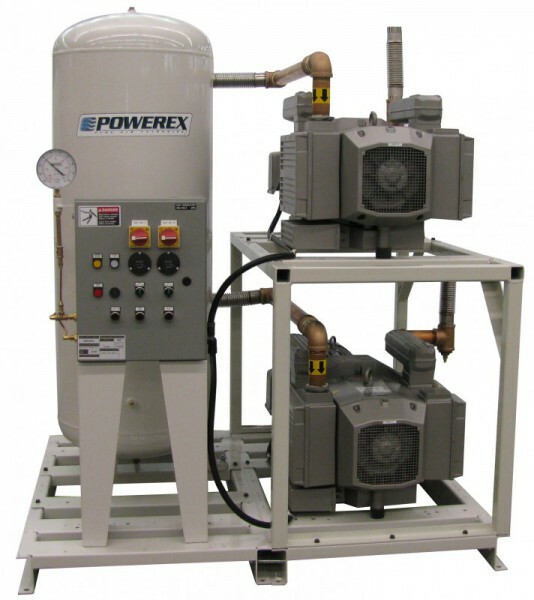 Our medical vacuum systems with our proven lubricated rotary vane pump technology can be customized specifically to meet your needs. We offer two different control panel options for our Medical Vacuum Systems – Premium controls as our standard or optional Basic controls. 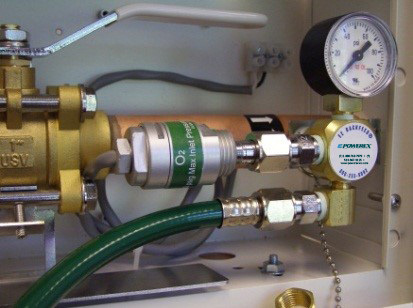 Many of our Medical Vacuum systems are now OSHPD (Seismic) Certified. 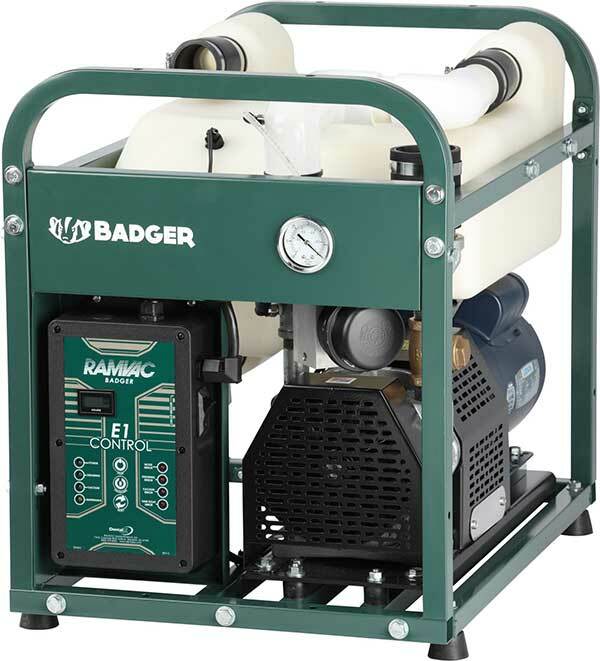 Our medical vacuum systems with our proven dry rotary vane pump technology can be customized specifically to meet your needs. 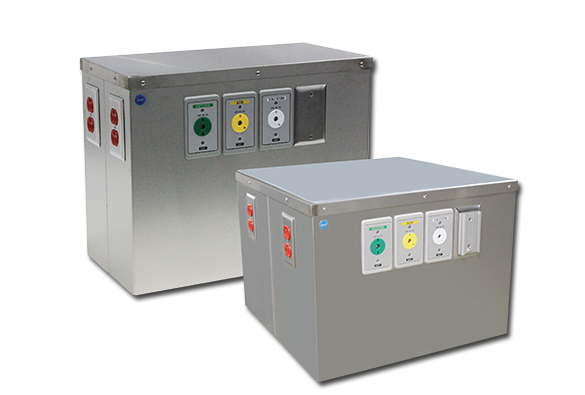 We offer two different control panel options for our Medical Vacuum Systems – Premium Controls as our standard or optional Basic controls. 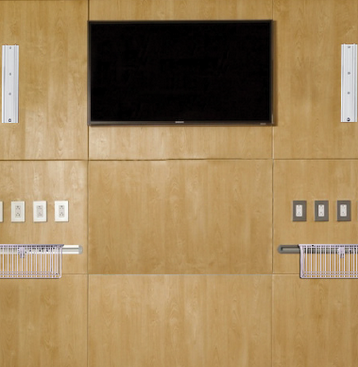 SMP Canada’s Eclipse Series Concealed Artwall System provides a convenient way to discreetly hide gas services, enabling the hospital to provide a more comfortable, non-institutional setting. The gas outlets are hidden behind a moveable unit that slides horizontally creating an aesthetically pleasing look in any care facility. Check inside the attached PDF to view all of our accessories! 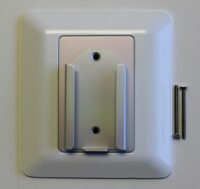 All accessories can be fitted with your choice of either Fairfield adapter or Dovetail Adapter. Additional adapter solutions available upon request. 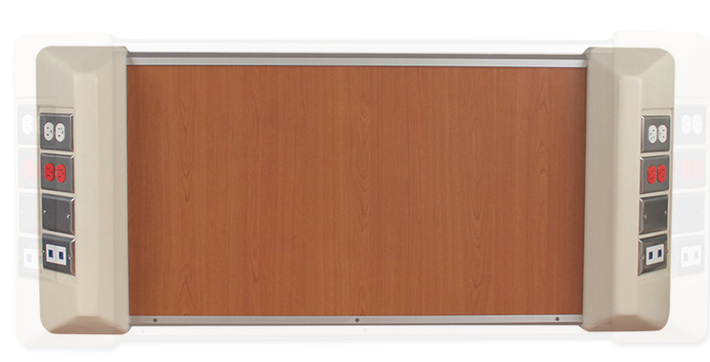 The innovative Orion Series™ over bed light provides an aesthetically pleasing design to any healthcare facility. 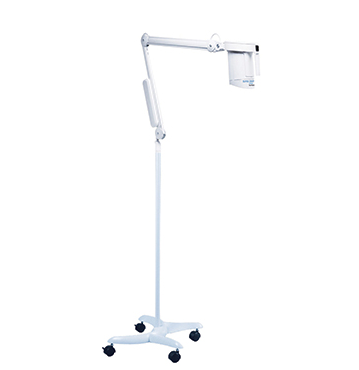 The luminaire features a unique direct and indirect light to meet the requirements of an acute care or general patient room. The Orion Series™ is manufactured with the highest safety and infection control measures making this light a preferred choice of healthcare professionals today. 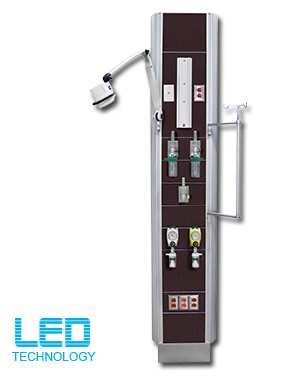 Light Caress XC fulfills the needs for patient rooms in both extended and acute care facilities. The separate lamp compartments provide the ambient lighting and reading light for patient comfort. The smooth form reduces the visual impact on the wall while simplifying routine cleaning, and the LED nightlight provides safety for patient and staff alike. 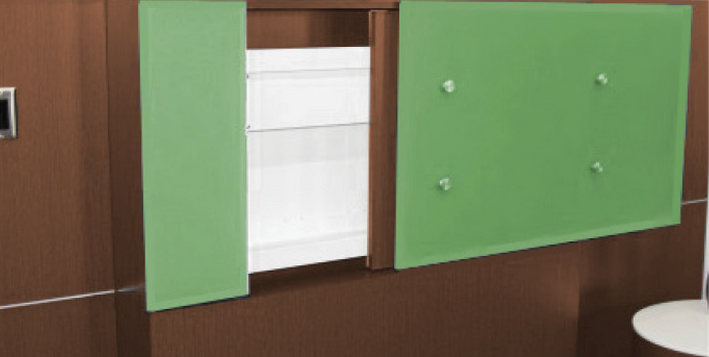 The die cast aluminum endcaps and extruded aluminum body ensure the durability that healthcare environments require. 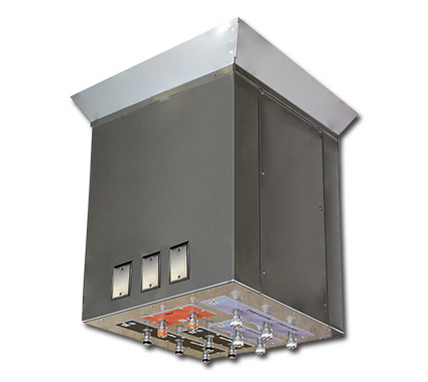 SMP’s innovative SMP-ED20 utilizes the latest LED technology. It provides a variety of healthcare facilities with clear, natural lighting, true color rendering, energy efficient and ergonomic integrity. The SMP-ED20 offers seven powerful LED’s which work in tandem to provide 50,000 lux, illuminating the exam area with clear, natural color rendering for a variety of examination procedures. The color temperature of the light can be modified using different combinations of LED’s which permit distinguishing the most subtle of color tones and characteristics in skin tissue with greater detail. In addition, five dimming levels assist in the comfort of both the patient and caregiver. The SMP-EH50 examination light offers high performance and quality design making it the ideal choice for any healthcare facility. 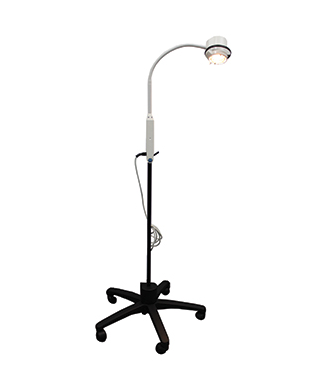 This examination light is constructed to offer all the features and benefits healthcare professionals require including a huge variety of mounting options. The luminaire features an optically advanced 50-watt IRC (infrared coated) halogen-xenon bulb, which provides a 3000 hour bulb life and 3400K color temperature. It is ideal for medical examinations and surgical procedures. Nova Exam LED meets the demands of today’s clinical examination applications. 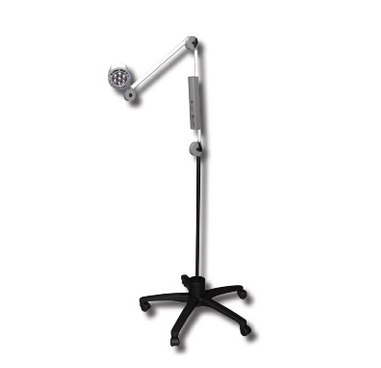 The LED light source produces a cool light that enhances physician/patient comfort while delivering a uniform beam pattern and higher illumination levels .A sleek head design,combined with a patented K-arm, allows quick and reliable positioning while being easy to clean and maintain. The operational benefits include lower power consumption and longer light source life. 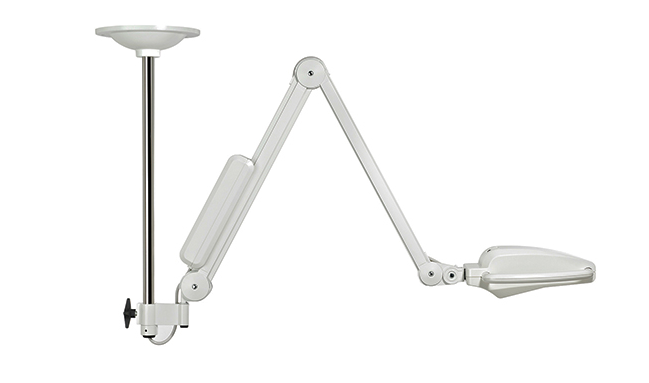 Best in class intensity, color temperature and CRI on a highly-positionable K-arm. Delivering higher illumination in a limited area, Super Exam 50 is ideal for obstetrics, gynecology and emergency rooms. Super Exam 50 uses halogen technology for maximum light output and color rendering. A dual lens optical system collects and concentrates light in a precise beam. 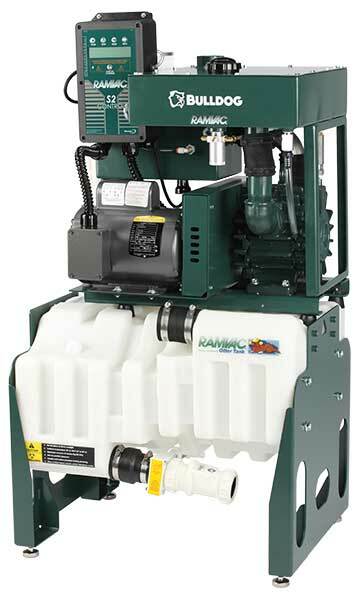 Exclusive 10 year no-fail, no-wear-out pump warranty. Performance proven for over 40 years. No messy strainers to clean. Works with a wide range of piping. 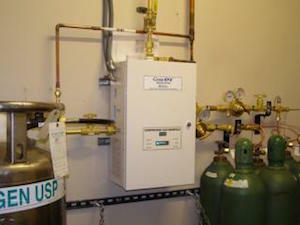 UL Listed, FDA registered, complies with NFPA 99c. 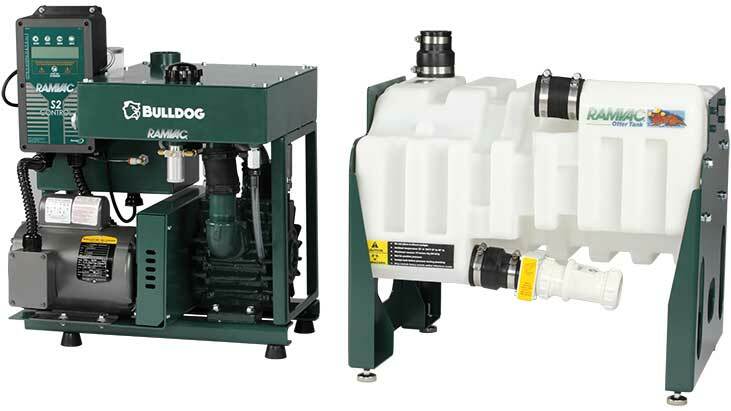 Bulldog vacuum units stacked on Otter Tank fit the same footprint as a twin water pump. “Low Oil” and “Water Contamination” sensors. Works with widest range of piping. 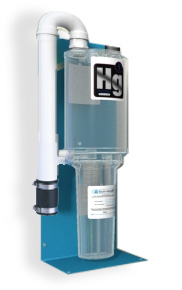 The first vacuum separation tank that automatically drains when needed without the added cost of a pump. 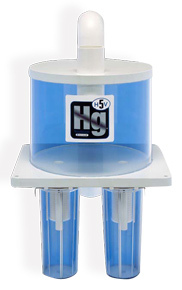 Significantly reduces the size and number of separating tanks. Completely automated to provide worry free operation. Intelligent controller records cycle history. Fits neatly next to walls and into corners. Accommodates up to 10 operatories. Dimensions 29 ½”h x 10”w x 8”d. 1 1/2” inlet and outlet piping. 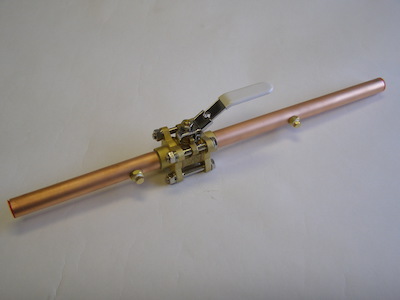 Fernco couplers for easy install. Accommodates up to 20 operatories. Dimensions 18″w x 28″h x 22 1/2″d. 3″ inlet and outlet piping. Accommodates up to 4 operatories. Dimensions 21 1/2″h x 11″w x 8″d. 3/4″ inlet and outlet piping. Designed specifically to fit under a counter.